As much as we love seeing glistening Pre-War cars line up on golf course greens, the whole top-tier concours circuit can sometimes be an insufferably pretentious environment. Collectors of blue-chip marques like Bugatti, Packard, and Rolls-Royce are often the most rigid, requiring each showcar to have showroom fresh paint, period-correct accouterments, and outstanding originality. 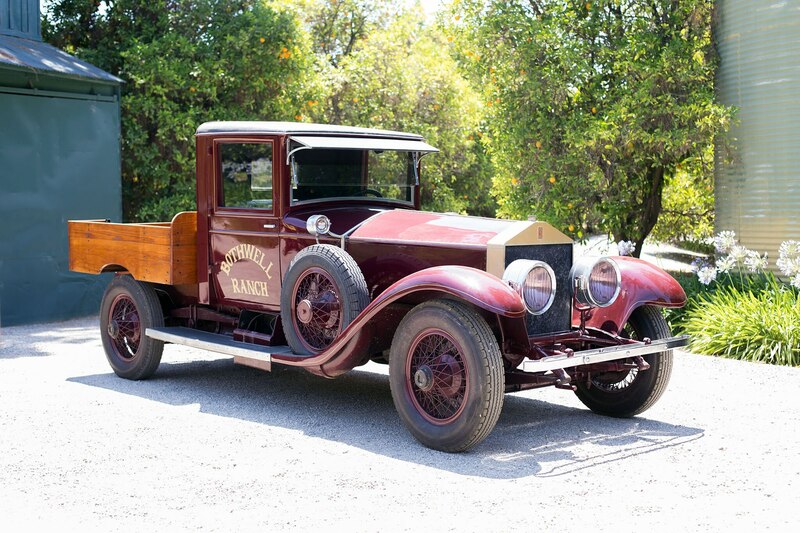 If it were up to us, we’d kick convention to the curb and roll up in Bonhams’ 1926 Rolls-Royce Silver Ghost Pickup that’s up for grabs at its upcoming Bothwell sale. This Ute started life as a 1926 Rolls-Royce 40/50HP Silver Ghost, wearing a traditional Tilbury sedan body. After the initial purchase of the first owner fell through, the sedan made its way to a new owner located in Santa Monica, California, where it remained as a regular use limousine. 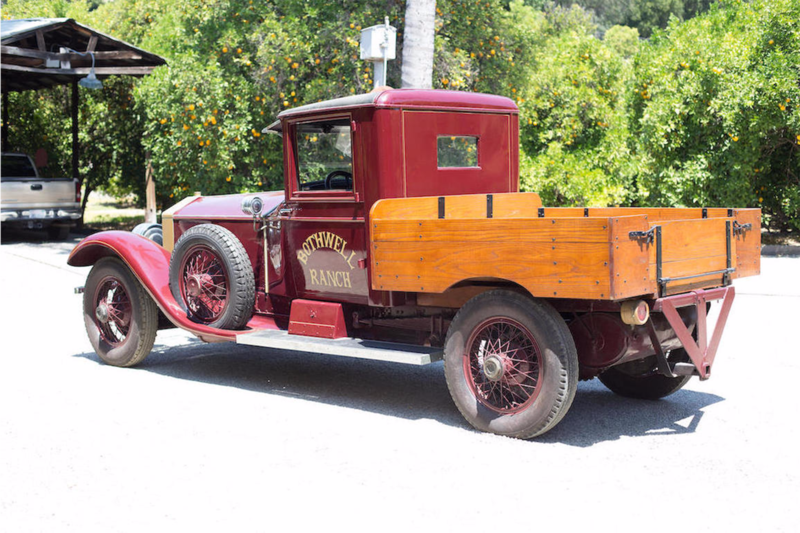 Eventually, the sedan was purchased by Lindley Bothwell, owner of a huge range of citrus groves around California and one of the most preeminent antique car collectors of the 20th century. At some point in Bothwell’s ownership, he had the sedan converted into the flat-back, wooden bed truck configuration as it sits today. He used the Rolls as a ranch truck for many years, and wears enough patina to continue as a novelty workhorse. Better yet, park this nearby your local Rolls-Royce club meetup and cause quite the stir. This wonderfully weird 1926 Rolls-Royce Silver Ghost Pickup goes under the auction hammer next month as part of Bonhams Bothwell sale.